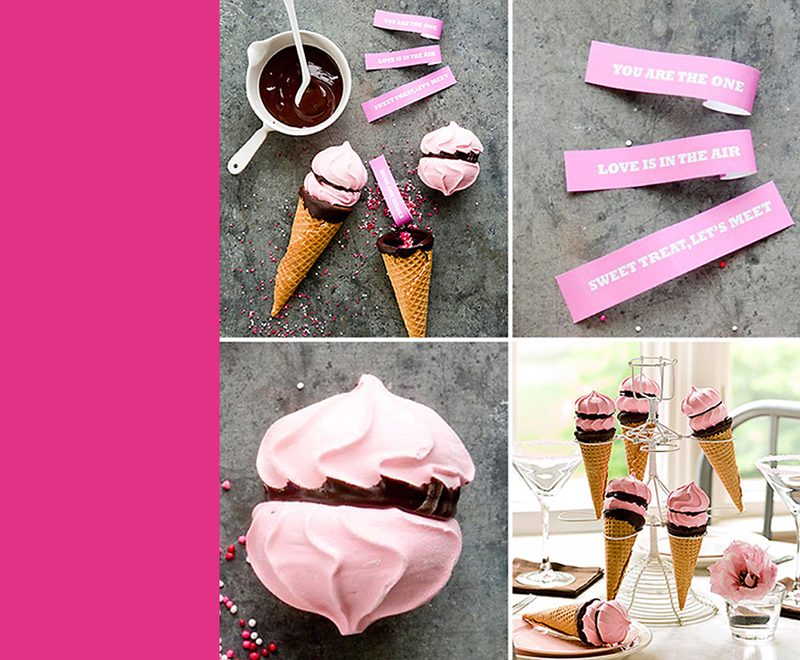 These “Secret Message Cones” from BHG are inspired by fortune cookies and featured as a creative homemade Valentine idea but I used these adorable treats as a surprise “Thank You” note in the favor bag for Alanna & Jenna’s birthday party. You’ll need sugar cones, meringue cookies, and chocolate chips for the ice cream cone portion. For the surprise, you’ll need paper for the “message” and colorful sprinkles.